This is my monthly roundup of books that arrived on my shelves in June. I also share a bit of what’s been going on in our family’s lives as well. I can’t believe we are in the month of July already. 2018 is half over and summer will be gone in a blink of an eye. Last month, I was able to slow down a bit and spend some time reading. The kids have been busy with running, jobs, drumline, and theatre camp. We had some wonderful evenings on the porch, time spent with great friends, and a huge family reunion to finish the month. We are looking forward to a low-key family vacation this month and more lazy summer days to take us through the rest of the month. 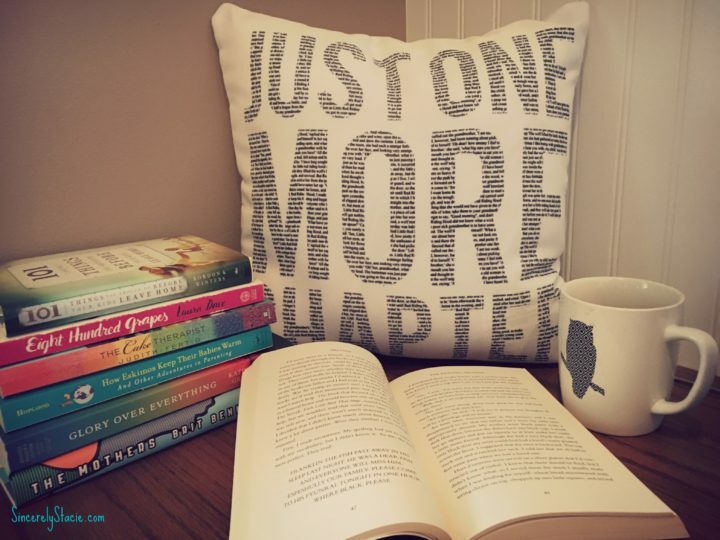 Here’s to happy reading ahead! 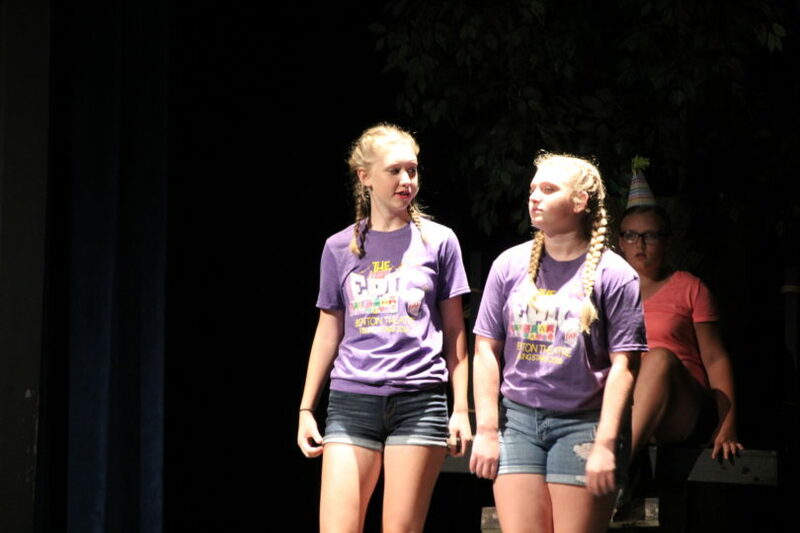 Reagan as a narrator in her summer theatre camp production of “The Most Epic Birthday Party Ever”. 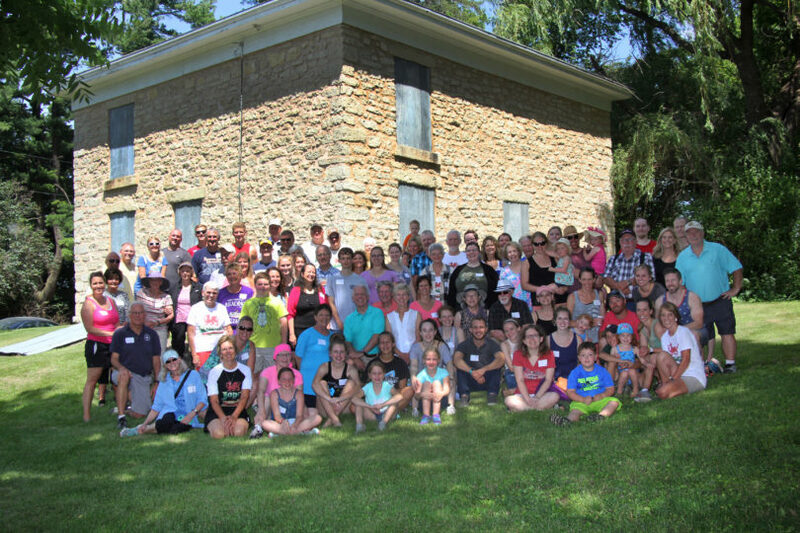 Our family that gathered from all over the country (literally every pocket of the country except the SE was represented) this past weekend. Up Next: I plan to take THE LOST FAMILY and TOO CLOSE TO BREATHE on vacation this month. I seriously can’t wait to dive into this one. It is the kind of book I love and Jenna Blum knows how to write a good historical fiction novel. I first fell in love with her writing in GRAND CENTRAL. I was drawn in by the synopsis of this one. This was the Target Book Club Pick of the month. It was also one of Reese Witherspoon’s book club picks and she will also be producing the movie version of this book. It’s been on my to-read list for quite some time, so I’m happy to have my own copy now. I shared NATIONAL GEOGRAPHIC KIDS ALMANAC 2018 with you last summer. I gravitated towards these kinds of books as a kid and I still love them. I always learn something! The world’s best-selling almanac for kids is back and in demand! This year’s includes the latest information about what’s new and newsy in our world, special dates to anticipate, and fresh topics, and much more. Have fun keeping up with our quickly changing world with the New York Times best-selling almanac, curated and created just for kids. It’s packed with incredible photos; tons of fun facts, crafts, and activities; and fascinating features about animals, science, nature, technology, and more. New features include an updated “Fun and Games” chapter filled with all-new games, jokes, and comics; all new weird-but-true facts; “19 Facts for 2019” feature in every chapter; updated reference material; and cool stuff on topics today’s curious kids care about. I couldn’t pass up this Kindle Deal. We love the National Parks and I hope to visit them all someday. In time for the National Park’s 100th birthday, this flagship, best-selling guide is fully revamped and updated with all new text, photographs, and design. National Geographic writers hit all 59 national parks—including Pinnacles, the newest in the crown—for intensive on-the-ground research. 300 photos and 80 colorful maps complete the extraordinary package. Practical and comprehensive coverage includes engaging, individual park descriptions and brief history, travel planning tips, itineraries and directions, activities, park lodges and hotels, visitor center contact information, and camping information. Well-known national parks writers provide new insights into the parks and share favorite spots for viewing scenery, wildlife, sunsets, and more in this Centennial edition. I love food memoirs and this was part of a Kindle Deal so I thought I’d check it out. In this delightful celebration of food, family, and friends, one of America’s most cherished kitchen companions shares her lifelong passion for cooking and entertaining. Interweaving essential tips and recipes with hilarious stories of meals both delectable and disastrous, HOME COOKING is a masterwork of culinary memoir and an inspiration to novice cooks, expert chefs, and food lovers everywhere. From veal scallops sautéed on a hot plate in her studio apartment to home-baked bread that is both easy and delicious, Colwin imparts her hard-earned secrets with wit, empathy, and charm. She advocates for simple dishes made from fresh, organic ingredients, and counsels that even in the worst-case scenario, there is always an elegant solution: dining out. Highly personal and refreshingly down-to-earth, Laurie Colwin’s irresistible ode to domestic pleasures is a must-have for anyone who has ever savored the memory of a mouthwatering meal. I don’t remember where I first heard about this book, but it sounded like a story I would enjoy. I added it to my library list and when my turn popped up, it was during my crazy month of May and I only got 40% in. So, I put myself back on the list and now it’s back. I’ll be finishing it this time. It’s quite captivating…this family full of secrets during the Christmas season. It’s Christmas, and for the first time in years, the entire Birch family will be under one roof. Even Emma and Andrew’s elder daughter—who is usually off saving the world—will be joining them at Weyfield Hall, their aging country estate. But Olivia, a doctor, is only coming home because she has to. Having just returned from treating an epidemic abroad, she’s been told she must stay in quarantine for a week…and so too should her family. This has been on my list since it came out in February. I decided to see if our library overdrive had it in audio and have patiently waited for my turn to come up. I’m absolutely enthralled with Tara’s story and I know this will be a top read in 2018 for me. The author narrates her own book and I’ve just been riveted. I would highly recommend it! Then, lacking any formal education, Tara began to educate herself. She taught herself enough mathematics and grammar to be admitted to Brigham Young University, where she studied history, learning for the first time about important world events like the Holocaust and the civil rights movement. Her quest for knowledge transformed her, taking her over oceans and across continents, to Harvard and to Cambridge. Only then would she wondered if she’d traveled too far, if there was still a way home. I’m linking up with THE DELIBERATE READER for her monthly feature NEW ON THE STACK. 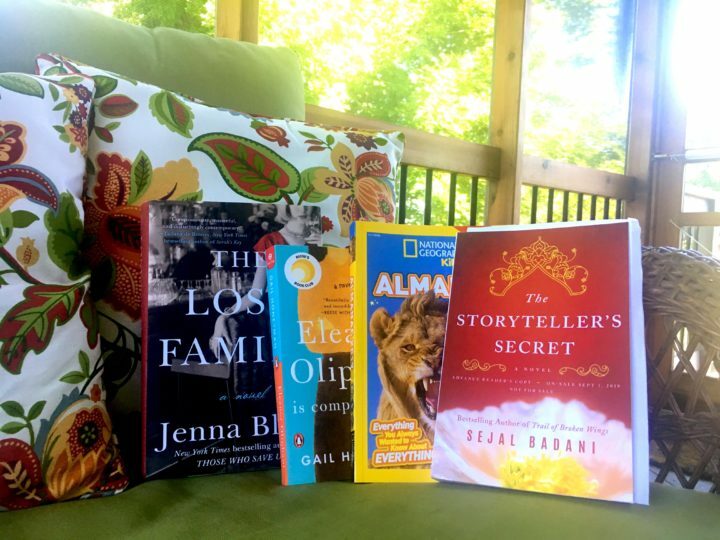 To see other bloggers’ new books from June, click HERE. I hope you can find time in your summer to read a few good books! Let me know what you are reading in the comments!